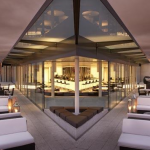 Mute Soundproofing® & ME London implement noise reduction acoustic installation for Radio Rooftop Bar. Covent Garden, London - Hotel Sound Insulation & Acoustics. Mute Soundproofing® & GQ Employment Law design & install sound absorption system to reduce echo in executive boardroom. City of London - Boardroom Acoustics. 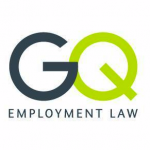 Mute Soundproofing® were commissioned to reduce echo and improve acoustics in meeting rooms at GQ Employment Law. Mute formulated a sound absorption system for the firm’s boardroom, incorporating surface-fixed acoustic panels and Cloudsorption suspended sound absorption panels to reduce echo. Mute Soundproofing® & Paul Smith design & install acoustic solution to reduce reverberation at London HQ. Covent Garden, London - Meeting Room Acoustics. Mute Soundproofing® & residential client specify & install acoustic wall mounted panels for domestic cinema room. Wimbledon, London - Cinema Acoustics. Mute Soundproofing® & Ronnie Scott’s Jazz Club conduct schedule of diagnostic sound testing at jazz music venue. Soho, London - Music Venue Sound Insulation & Acoustics. 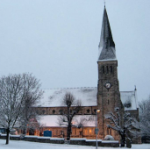 Mute Soundproofing® & All Saints’ Church measure reverberation times in main hall for custom design & installation. Woodford Wells, Essex - Church Acoustics. Mute Soundproofing® & Parkwood Management execute timber floors feasibility study at The Pryors. Hampstead, London - Residential Soundproofing. Mute Soundproofing® & Stenham Property design & install echo-attenuating sound absorption system for executive boardroom. Fitzrovia, London - Office Acoustics. Mute Soundproofing® formulated an echo-attenuating sound absorption system for the boardroom at Stenham Property, incorporating surface fixed sound absorption panels, which were mounted to the ceiling. Supplementary works included the design and build of acoustic enclosures, to reduce airborne sound leakage from recessed ceiling speakers. Mute Soundproofing® & Eurasia Group reduce reverberation times inside teleconferencing meeting room. Clerkenwell, London - Teleconference Room Acoustics. 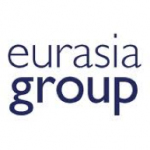 Eurasia Group is the world’s leading political risk research and consulting company, helping clients to respond to instability and opportunities wherever they do business. Mute Soundproofing’s application will reduce reverberation times inside their teleconference room, to facilitate clearer communication during meetings. Mute Soundproofing® & Samaritans sound insulate counselling call centre. Putney, London - Call Centre Sound Insulation. Mute Soundproofing® qualifies for Constructionline. 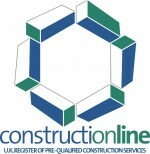 The UK's largest register for pre-qualified contractors and consultants. 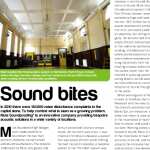 Mute Soundproofing® features in June 2012 issue of Public Sector Build Journal (PSBJ). Mute Soundproofing® & Nickelodeon sound insulate ‘Toons Studio’ for SpongeBob SquarePants live show. Fitzrovia, London - Television Studio Soundproofing. Nickelodeon is an American children’s TV channel, producing hugely popular cartoon shows such as SpongeBob SquarePants, Kung Fu Panda and Power Rangers. 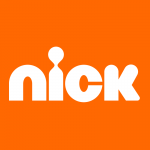 Mute Soundproofing® has been contracted by Nickelodeon to design and install a system to sound insulate their cartoon production studio in London. Mute Soundproofing® & Notting Hill Preparatory School sound insulate music practice rooms. Notting Hill, London - Music Practice Room Sound Insulation. Mute Soundproofing® invited by Deafness Research to attend charity reception at BT Tower. 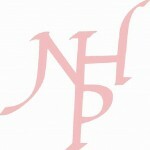 A medical research charity protecting hearing and preventing hearing damage. Mute Soundproofing® & Exposure undertake bespoke sound absorption works at European HQ. 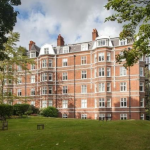 Mute Soundproofing® & King’s College London commence Phase 2 of sound insulation works. Covent Garden, London - University Noise Control. 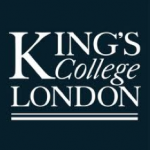 Mute Soundproofing® has been re-commissioned by JISC, at King’s College London, to implement a custom designed soundproofing system within executive meeting rooms at the college. The project follows on from successful preliminary works on the college’s acoustics, undertaken in the first half of 2011. 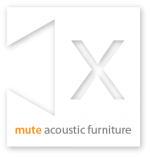 Mute Soundproofing® launches Mute Acoustic Furniture. Introducing 'type-1' and 'type-2' systems. Mute Soundproofing® & Kobalt Music Group commence Phase 2 of sound absorption works in conference rooms. Southwark, London - Office Noise Control & Acoustics. Mute Soundproofing®set to launch unique acoustic furniture concept. Mute Soundproofing® initiates sound absorbing acoustic furniture concept. Mute sound absorbing Acoustic Furniture uniquely incorporates soundproofing and sound absorption elements, with the ability to control room acoustics, enabling clients, from all sectors, to commission precision-made furniture, which satisfies their soundproofing and/or sound absorption needs, together with their storage requirements, in a cost and space efficient form. 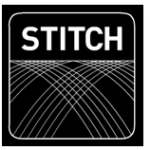 Mute Soundproofing® & Stitch Editing commence Phase 2 of sound insulation works at their London HQ. Soho, London - TV Editing Suite Sound Insulation. Mute Soundproofing® collaborates with Building Crafts College. 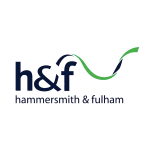 Mute Soundproofing® & Hammersmith & Fulham Council (Disabled Children’s Team) design & build sound insulated ‘safe space’ for local family. Hammersmith, London - Special Needs Noise Control. 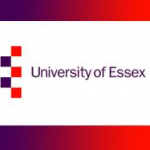 Mute Soundproofing® & Essex University complete noise control works to rehearsal rooms & sound recording studio. Loughton, Essex - Rehearsal Room Sound Insulation. Mute Soundproofing® & Kobalt Music Group reduce sound bleed & reverberation from noisy server at global headquarters. 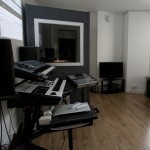 Mute Soundproofing® & ECAM Entertainment design & build ‘Room Within A Room’ domestic recording studio. Earl's Court, London - Music Studio Soundproofing & Acoustics. Mute Soundproofing® to become Chartered Building Company. Having signed up to CIOB Training Partnership. 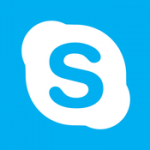 Mute Soundproofing® & Skype commence Phase 2 of sound absorption works in conference rooms. Fitzrovia, London - Meeting Room Acoustics. Mute Soundproofing® & Wimbledon Park Primary School correct severe reverberation in main assembly hall. Wimbledon, London - School Acoustics. 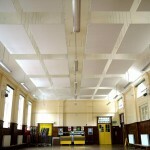 Mute Soundproofing® installed sound absorption panels to reduce reverberation in Wimbledon Park school hall. The school’s assembly hall, a pre-1900 build, was a veritable echo-chamber, due to its construction (hard surfaces throughout and high, barrelled ceiling), combined with en masse occupancy by children, for all manner of activities, causing severe reverberation in the school hall…. Mute Soundproofing® feature in Deafness Research UK’s latest publication as listed sponsor. Prevention and treatment of hearing loss. Mute Soundproofing® & Stitch Editing increase sound insulation between editing suites. Soho, London - Editing Suite Sound Insulation. Mute Soundproofing® & Cut Laser Cut reduce noise pollution from workshop extractor fan. Vauxhall, London - Industrial Noise Control. Mute Soundproofing® & Skype reduce reverberation inside video conference meeting rooms with sound absorption panels. 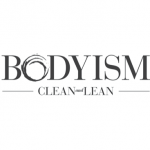 Mute Soundproofing® & Bodyism sound insulate personal training studios. South Kensington, London - Gym Noise Control. Mute Soundproofing® & London School of Economic Science reduce sound passage between connecting classrooms. Marylebone, London - School Soundproofing.